Less than 30 years ago, Dublin’s road engineers were still demolishing entire historic streets to make room for bleak dual-carriageways designed to speed the journeys of suburban car commuters into and out of the city centre. They couldn’t see then that this was crazy. There were petitions and protests, marches and meetings, but it made little or no difference, at least not immediately. The engineers knew best and the supine city councillors went along with them, paving the way for High Street, Patrick Street, Parnell Street and suchlike. Now, their successors in Dublin City Council and the National Transport Authority are planning to do quite the reverse – to restrict substantially the movement of through-traffic in the city centre with the most radical plan for transport in Dublin unveiled in my lifetime. Their Dublin City Centre Transport Study also shows that the council and the NTA are now singing from the same hymnsheet. In the very recent past, they were at loggerheads over the NTA’s leaked draft proposals to restrict traffic in the heart of Dublin. The €350 million Luas Cross City project has forced new thinking on the engineers, particularly in relation to College Green, where the plan proposes that no cars – or even taxis – would be allowed through; it would be confined instead to buses, trams, cyclists and pedestrians. Disappointingly, I could find no reference to speeding the passage of trams through the city by giving them priority at traffic lights. As I’ve said more than once to director of traffic Michael Phillips, at least five minutes could be shaved off Red Line journey times by doing that. The plan goes much further than College Green, however. Westmoreland Street would become a virtually traffic-free zone, with much wider footpaths that will hopefully encourage more cafés, while D’Olier Street would be turned into a major interchange for cross-city bus routes. Suffolk Street and the north side of St Stephen’s Green, from Dawson Street right around to the Royal College of Surgeons, would be pedestrianised (apart from lanes for Luas and cyclists). 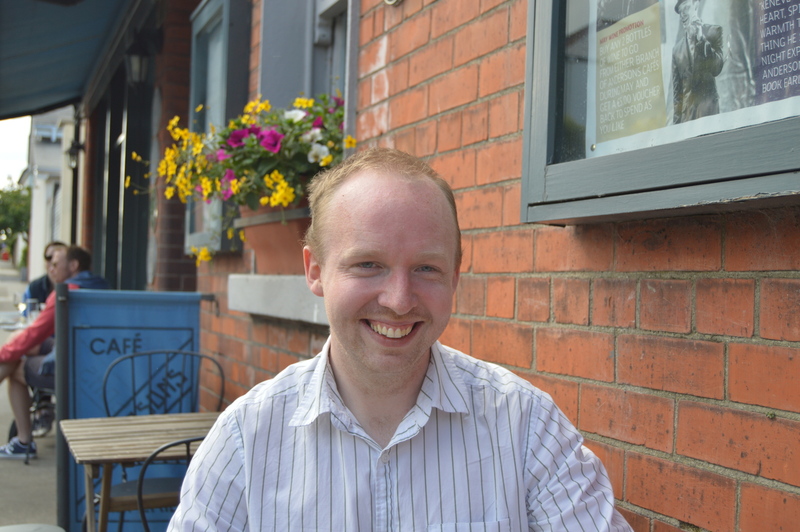 Footpaths on O’Connell Bridge would be widened to “mirror” O’Connell Street itself. The Liffey Quays would also be transformed. 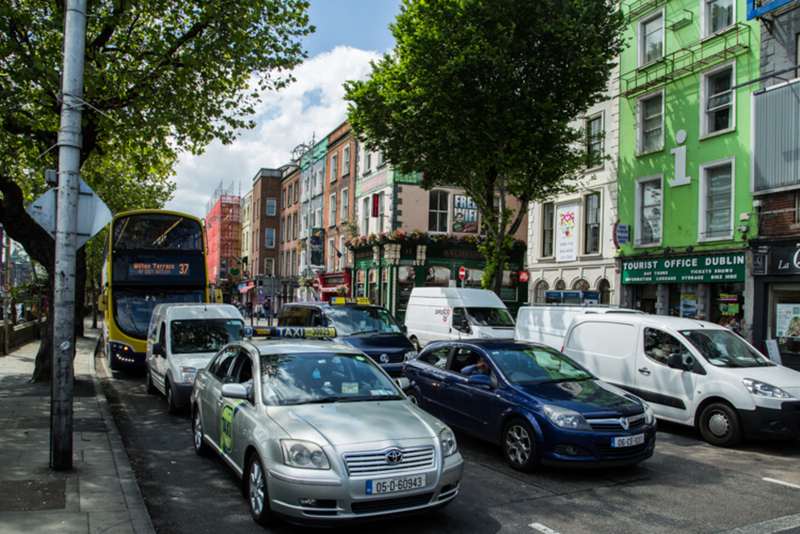 At present, incredibly, the junction at Bachelors’ Walk and O’Connell Street carries some 70,000 vehicles a day – equivalent to 60 per cent of the daily traffic flow on the M50 – conflicting with 100,000 pedestrians trying to cross it. Under the plan, Bachelors’ Walk would only cater for buses, taxis, cyclists and pedestrians, with “no private cars”. The south quays would also be choked as a major traffic artery by imposing the same restrictions on either Aston Quay, Burgh Quay or George’s Quay. These moves are being made to facilitate a Liffey “cycling corridor” on both sides of the quays. The number of commuters cycling in Dublin more than doubled between 2006 and 2011 and shows no sign of slackening off. Safety alone means that they must be catered for. 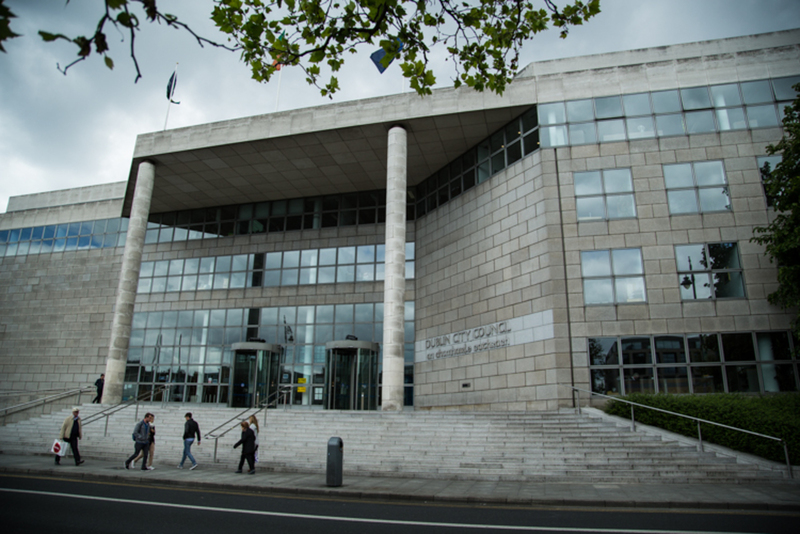 This would require the re-routing of large volumes of traffic from the quays to other streets, such as Jervis Street and Parnell Street on the northside and Pearse Street and Tara Street on the southside. How these traffic-choked streets would cope with more cars is a conundrum. As a general rule, traffic finds its own level in a city. If routes are closed, motorists tend to find alternatives. What the authors of the latest plan hope is that many of them would switch to other modes, which would include a number of tram-like bus rapid transit (BRT) lines. The AA’s Conor Faughnan has reverted to type by querying “why is removal of cars an objective in itself?”. The answer is simple: if conditions are to be improved for public transport, cyclling and walking, the limited road space available must be reallocated from private cars. However, access city centre multi-storey car parks would be maintained, in the interest of supporting retail, even though a recent study for the NTA showed that the majority (80 percent) of the total retail “spend” is by shoppers using public transport, cycling or walking. 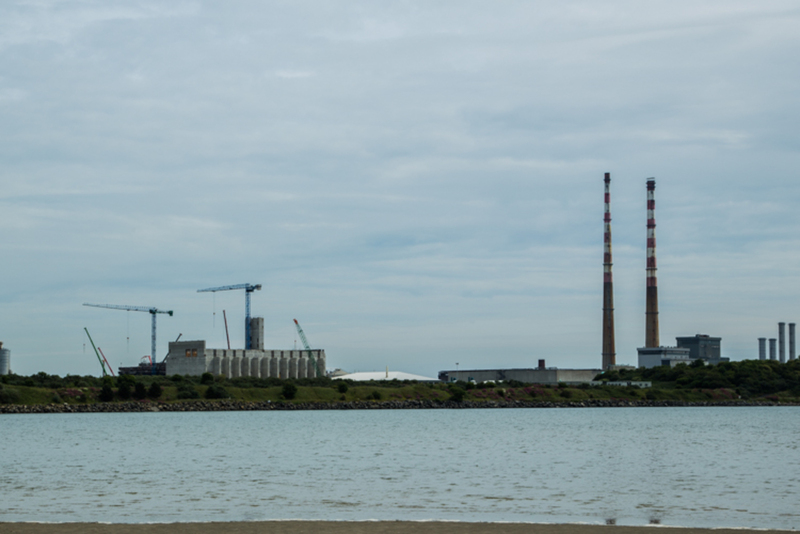 There is also a good chance that the plan will be implemented, given the NTA’s pledge to provide €150 million in funding for the different elements proposed. That’s assuming, of course, that city councillors adopt it after what’s bound to be a fractious public consultation. The other article on the Inquirer about making Trinity/Dublin Castle/Leinster House permeable to foot &amp; bike traffic would have a huge effect on cycling through town safely. 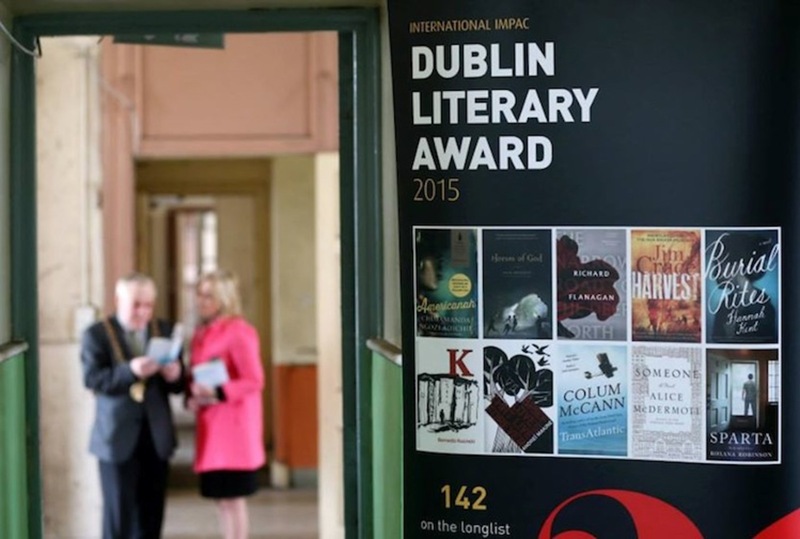 The International IMPAC Dublin Literary Award: Is It Worth It?